- This Item Has Been Professionally Restored To Working Order By A Manufacturer. Description :Title : HEAVY DUTY CORBIN EMHART CYLINDRICAL LOCKSET 863-461 C32D BRModel : 863-461 C32.. 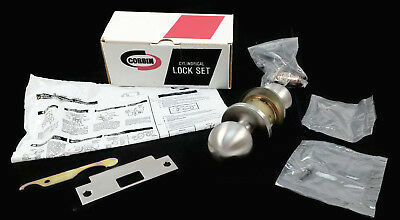 Description :Title : HEAVY DUTY Emhart Corbin Clyindrical Lock Set 863-410 C32D - LONG FUSED LATCHMo..